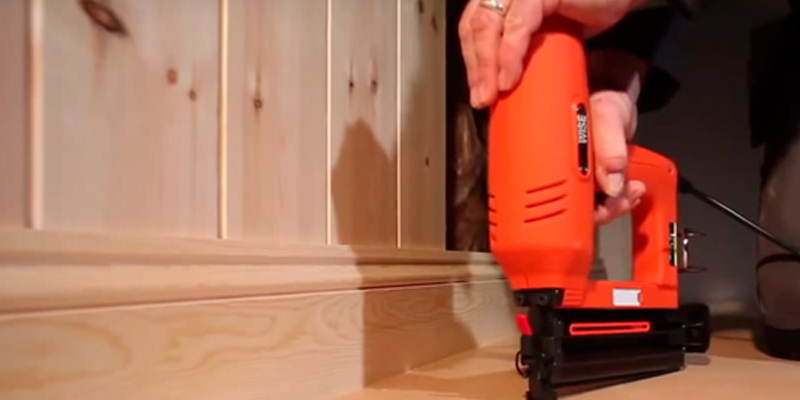 This appliance effectively combines two tools in one (staple and nail gun). This solution makes the Tacwise electric gun perfect for professional use. You may find it difficult to use the tool in hard-to-reach corners. 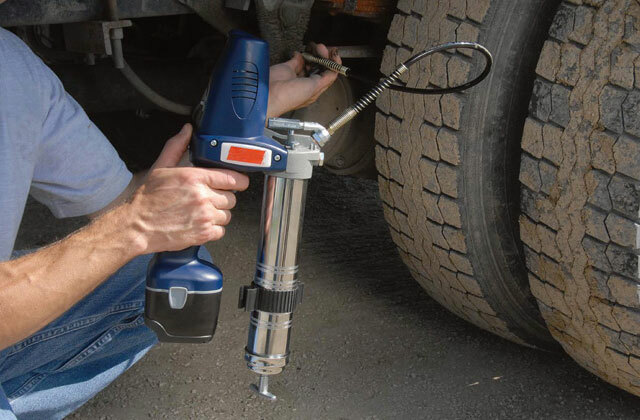 The Tacwise Duo tool will be helpful both for home use and for heavy-duty professional use. 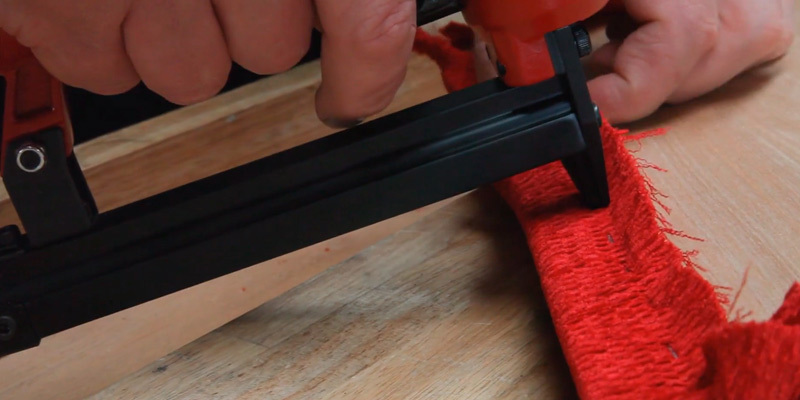 This staple gun can be rightfully called a versatile, reliable, and effective appliance. The high performance of 120 shots per minute and a capacious magazine will help you do your work quickly and more effectively than with other stapler guns. The trigger is not of high quality. This gun performs perfectly well with type 71 staples. Besides, the Clarke company made this model as easy and convenient to use as possible. Thanks to that, users can do their work faster and better. 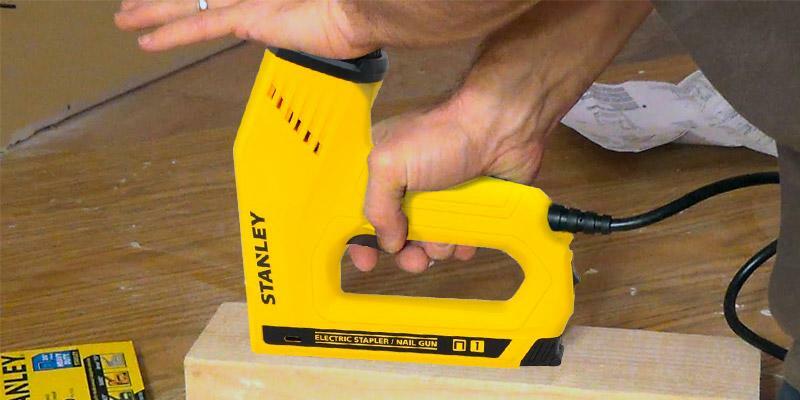 Apart from staples, the Stanley TRE550Z can also drive nails. This way, it can double as a nail gun if needed. The gun might become rather hot if used intensively. 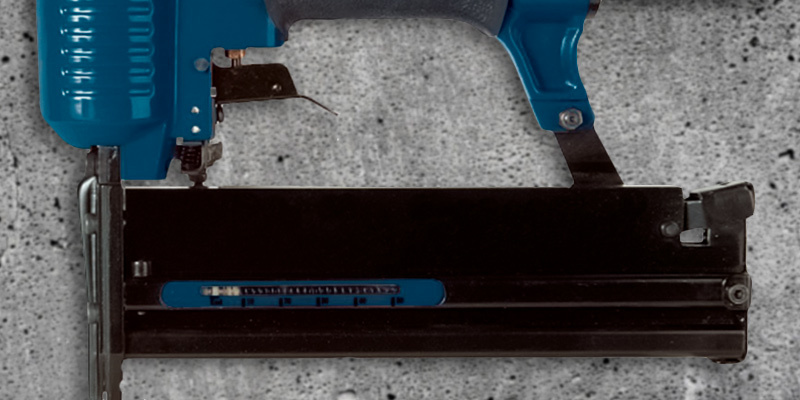 It's a great electric stapler that is suitable for medium projects such as carpeting, installation of insulation, picture framing, or mounting Christmas decorations. Equipped with a Lithium-Ion battery, this Bosch stapler is extremely a portable and lightweight appliance. 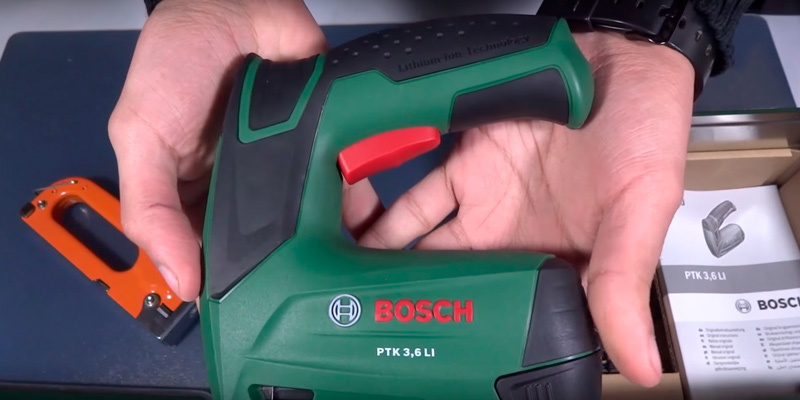 The Bosch PTK will help you do any work outside and inside the house effectively and with minimal efforts. This tool is excellent for both personal and professional use. The entire casing is made of aluminium, so the stapler is pretty solid and lightweight at the same time. The build quality is not that good. 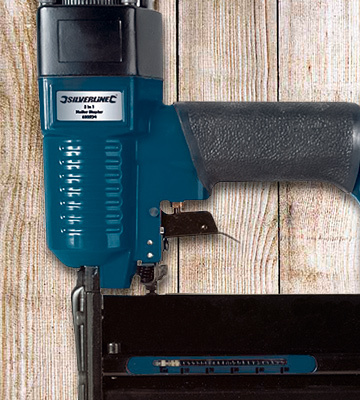 The Silverline is an affordable product that is perfect for all minor works in the house. A convenient handle and low weight of this gun enable you to perform all your tasks easily. 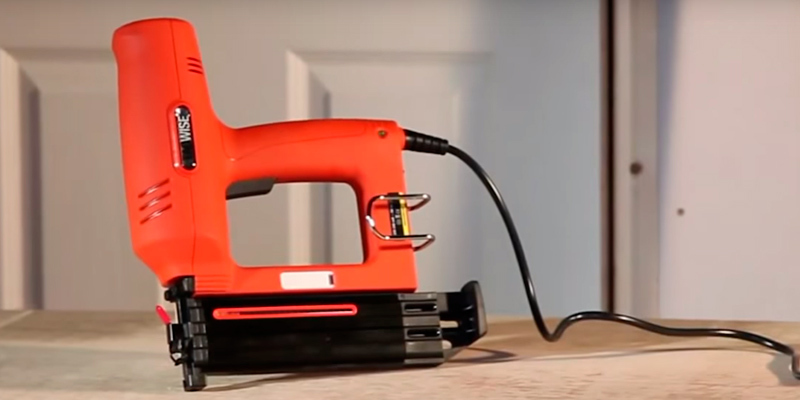 The Tacwise company has produced an electric staple and nail gun which can become your perfect assistant for doing repairs and other jobs. If you need a tool to fire nails or staples in the galvanized or stainless steel finish, then the Duo 50 Master Nailer/Stapler is your best choice. It will help you do fixing tasks almost effortlessly. 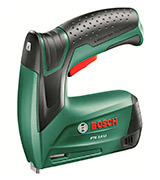 Thanks to the dual functionality, this electric nailer/stapler will brilliantly perform with medium and softwood woodwork, MDF and plasterboard, panelling, subflooring and flooring. It's also great for assembling cabinets, plywood cases, doors, and windows. Boasting a magazine load capacity of 100 nails or staples, the tool operates at really fast speed. This feature simplifies the overall process and allows you to complete more jobs within the shortest time possible. To achieve the best results, it is advisable to use Tacwise 180 nails (20-50mm) or 91 series staples (20-45mm). 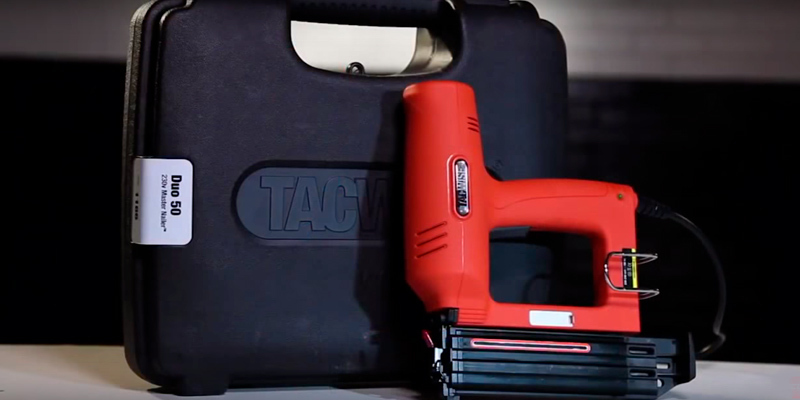 The Tacwise electriс staple gun is designed to operate with minimum downtime. 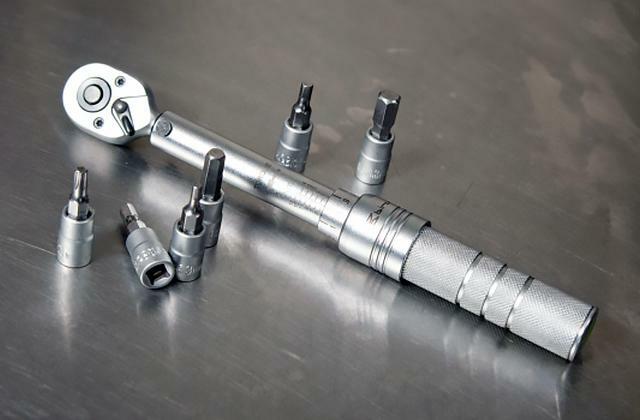 It means that you will be able to clear deformations of nails or staples easily and quickly. It is a really useful feature that will help you make the working surface smooth and clean. You just need to open the nose gate with a flick and remove a jammed staple (or a nail). After that, you will be ready to continue your work. Speaking of usability, it should also be mentioned that this model is equipped with an air-tool metal magazine which makes this tool good for professional use. In addition, there is a nose safety system to prevent accidental firing. 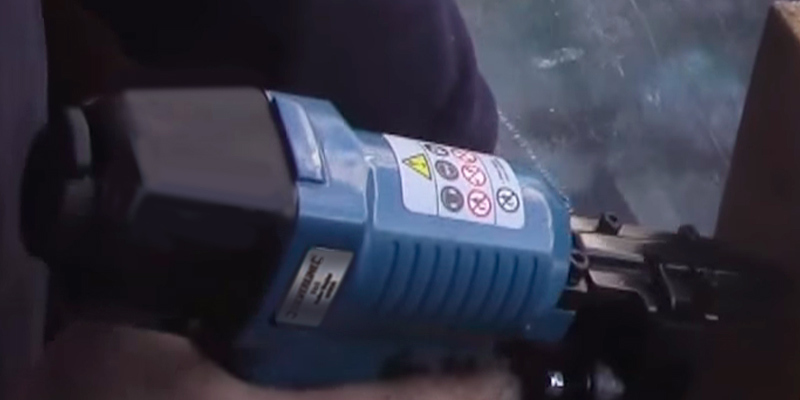 The gun has a power light that indicates whether the tool is connected to the network or not. If there is no electricity or some other problems occur, the light will not flash. And finally, the separate on/off switch makes it impossible for users to confuse the buttons. Physical work requires a lot of effort. Therefore, the powerful tools and other equipment should not be too heavy. Keeping that in mind, the manufacturer made this professional appliance relatively lightweight (2.5 kg). With this model, you can do your jobs for a long time and your hands will not get tired (for sure, not without any breaks at all). This staple/nail machine gives you an opportunity to switch between nails and staples without any additional adjustment. All you need to do is load the needed fixing. That's all. The tool is ready to go! Those who are looking for a portable and high-performing staple gun will definitely appreciate the model from the Clarke International company. If you frequently do repairs somewhere away from your home, this item with the weight of only 0.85 kg is just perfect to carry around. It will not take up much space in your car boot, allowing you to load lots of other things there. 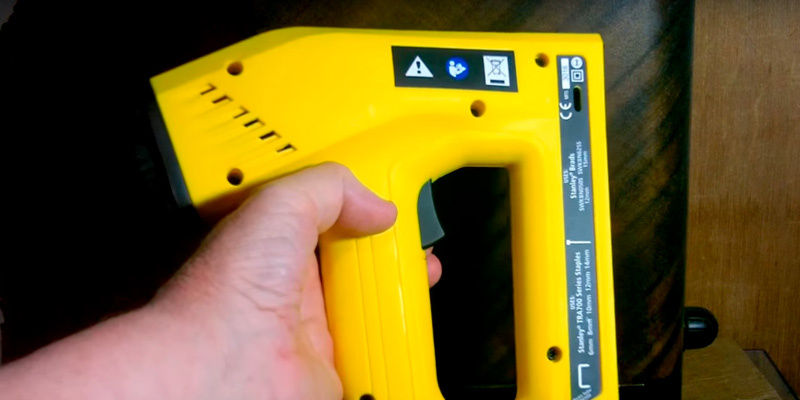 If you travel by public transport, you can easily put this staple gun into your backpack. Another benefit of such lightweight tool is that you are not likely to have any fatigue after using it for quite a good while. It is an air staple gun (also called pneumatic). It means that the tool works, using the power of compressed air. Therefore, you will not have to put a lot of effort using it. And its ability to perform up to 120 shots in a minute gives you an opportunity to make everything you need much quicker than ever before. Brilliant result for such a compact thing, isn`t it? 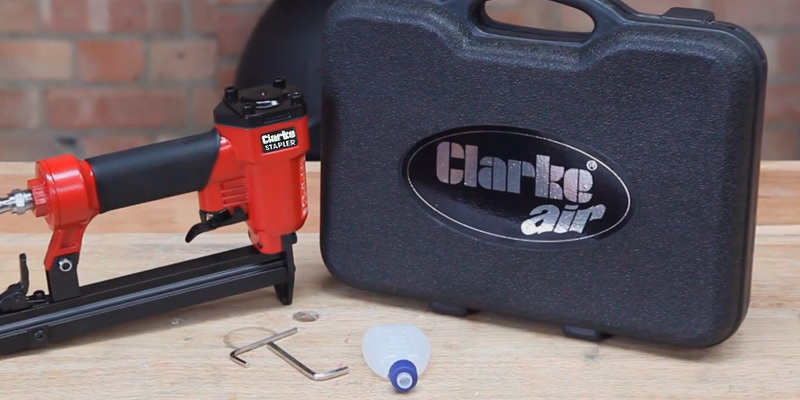 The Clarke air stapler gun stands out from others with an affordable price. Offering a good functionality and boasting a reliable design, it costs not that much. So, if you want to purchase a high-quality product but do not want to overpay, it's your choice. As for the characteristics of the product, you will notice that this gun has a magazine capacity of up to 180 staples. And the operating pressure of this appliance varies from 60 to 100 psi (4.1 - 6.8 Bar). Considering these features, we can conclude that this item is pretty cost-effective yet functional. A staple gun is a thing you always hold in your hands while working. Therefore, it should be not only lightweight but also comfortable to hold. Taking that into account, the manufacturer has equipped this tool with an easy to grip handle. The tool is supplied with some additional items so that customers can use the tool right out-of-the-box. By purchasing this product, you will get a set with 2 Allen keys and special lubricant for the gun. So, there is no need to buy anything additionally. Just open the box and go ahead. Moreover, the gun comes in a small moulded case that can protect the appliance from damage. 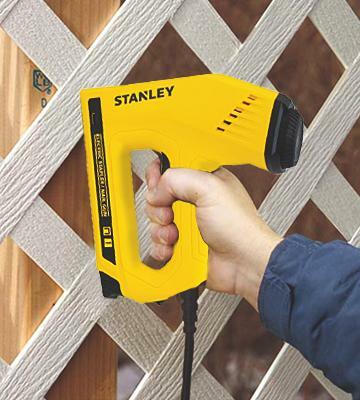 The next product on our shortlist is an electric gun from Stanley. This tool is great for its low price, outstanding performance, and some extra features. We were instantly attracted by the power adjustability of this gun. The adjustment is carried out with a lever that allows setting the power depending on the material being handled. We should also note that the gun's nose is flush, so the tool can drive staples where most other guns can't. As the manufacturer claims, the gun has the mechanism that minimizes jamming during the work. 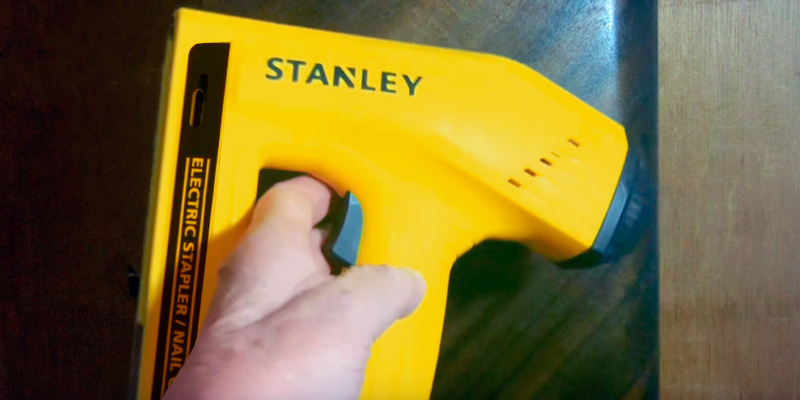 When it comes to the design and structure, the Stanley TRE550 staple gun brings nice feelings. The tool looks solid and sits in hand perfectly. The versatility is, probably, the most exciting thing about this gun. Apart from shooting staples, Stanley can drive brads. We need to say that such an outstanding and useful function can't be found in many other rival staple guns. 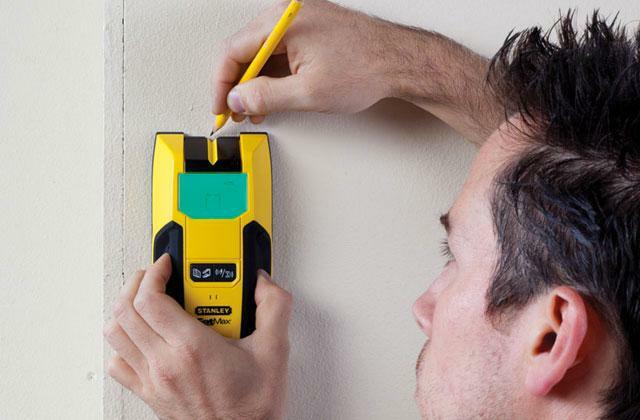 So, if you need to arrange insulation, nail ceiling panels or staple a carpet, don't waste your time on hesitations and choose the Stanley TRE550. Desktop staplers, ancestors of staple guns, have been used by people for a long time. The first pattern of a contemporary stapler was made by the order of King Louis XV in the 18th century. Each staple for that stapler was marked with a royal court emblem. Since then, staplers have become more and more demanded as the paperwork was growing. At the end of the 19th century, George McGill patented the fastener that could clamp brass paper. Later, he patented another stapler for fastening paper. It could drive only one staple, though. The word "stapler" appeared several years later. Before 1909, staplers were called after manufacturing companies, for example, “Hotchkiss”, or just "fastener". 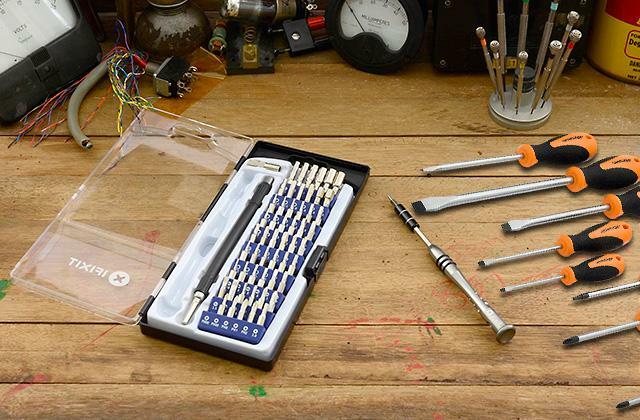 What else will be useful for your tasks is a good set of screwdrivers. 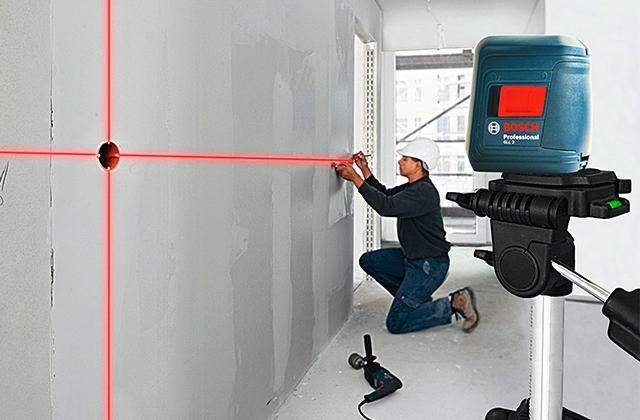 The Bosch cordless tracker was designed with a user in mind. All elements of this tool are made so that a user can feel nothing but comfort when working with it. The staple gun is small in size and low in weight (just 0.8 kg). The Lithium-ion battery of this model is 60% smaller and lighter than conventional batteries (however, the power they provide is the same). Another advantage is the soft-grip handle which ensures your safety and convenience, helping you control the machine and reducing the risk of losing a grip accordingly. 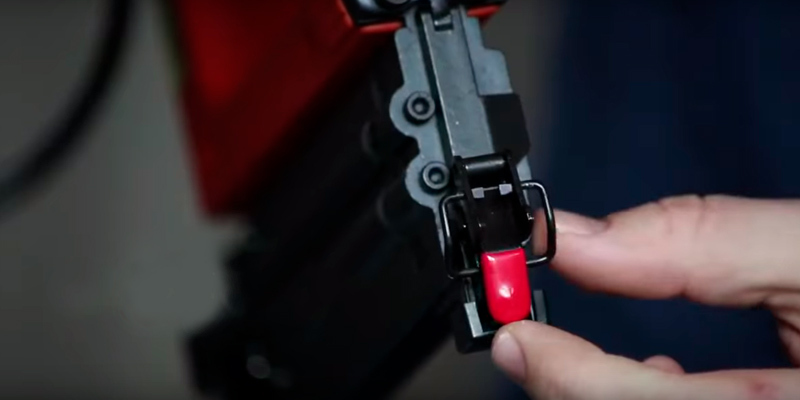 In addition, there is a 2-finger trigger to make your handling easier. The gun has a special window allowing you to see the magazine filling level. So, you will be able to quickly indicate when it is time to add some staples. 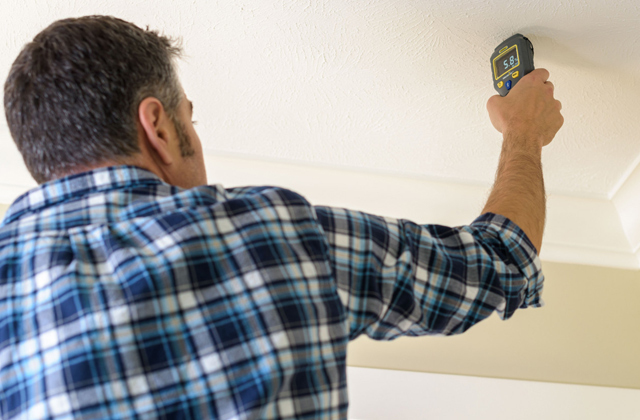 To simplify the use, the manufacturer has equipped the cordless tracker with a LED charging level indicator. If the battery level is high, the light is green, and when the charge is low (30% and less), the LED is red. Owing to that, you will always know whether the gun is ready to work or not. 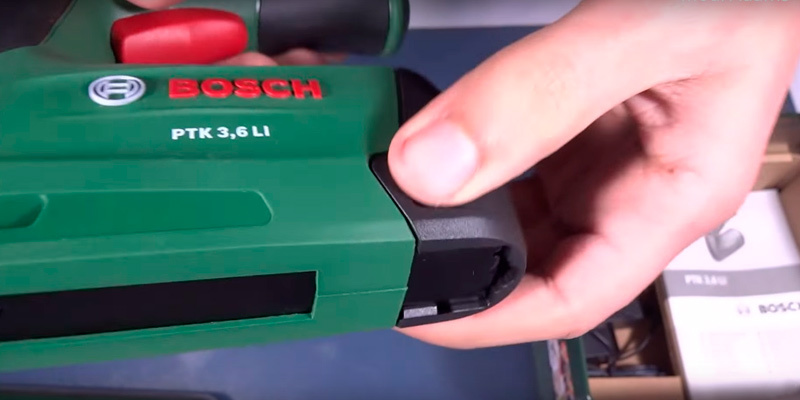 People who have some creative hobby connected or those who are into handcraft will certainly consider this cordless tacker from the Bosch company a must-have in their workshops. 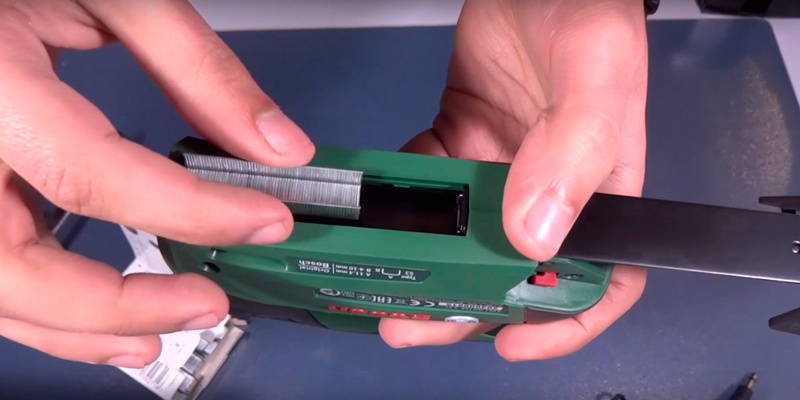 It doesn't matter what type of materials you use for your handcrafted items, this portable stapler will be extremely helpful. It will perform perfectly with felt, foil, wood, various fabrics, foamed materials, paper, leather, carton, and other materials. For example, artists can use the tool to fix the canvases on the frames. Of course, you can purchase this product not only for hobby. If you need to decorate your interior and attach some ornaments, this tacker will help you do that. It is also suitable for various outdoor fixings. 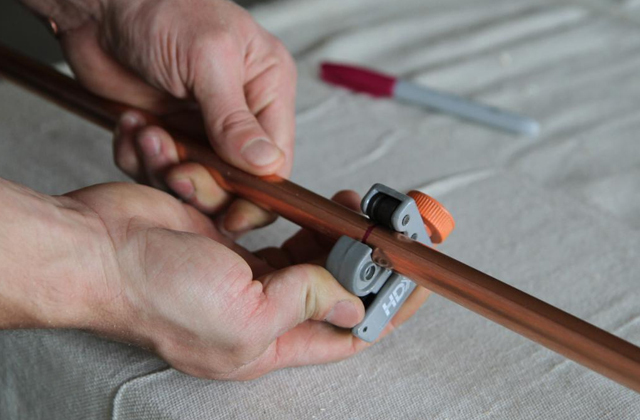 The tool can work with textiles, cork, roofing cardboard, wires on thin wood, and even carpets. The manufacturer has included Bosch staples into the package. Thus, you do not have to order them additionally. This model uses the Push + Release System which gives you a possibility to completely control the release of the stroke and position the staples as precisely as possible. This system facilitates the working process and reduces the time you spend on your projects. The set includes a 3.6 V Lithium-ion battery. 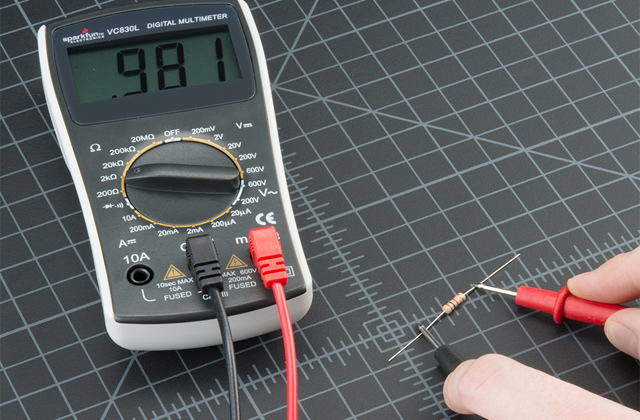 When it is fully charged you will be able to make about 400 staples (and even more). It should be mentioned that the Lithium-ion technology makes the tool ready to work no matter for how long it was in the standby mode. 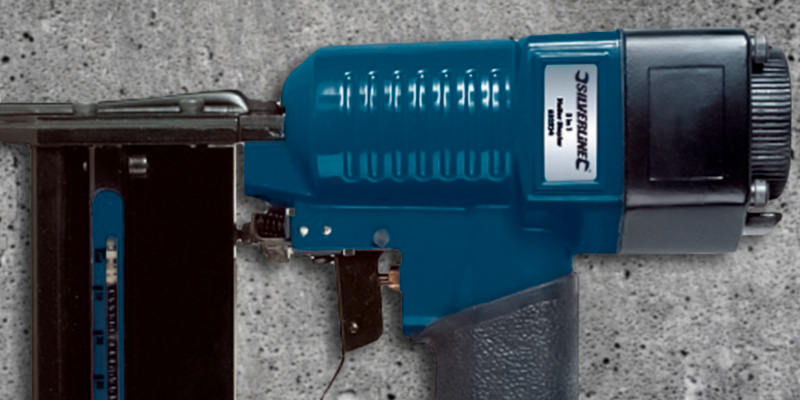 The Silverline is a worldwide-known manufacturer of hand and power tools, various fixings, and hardware. The company has been on the market for many years. 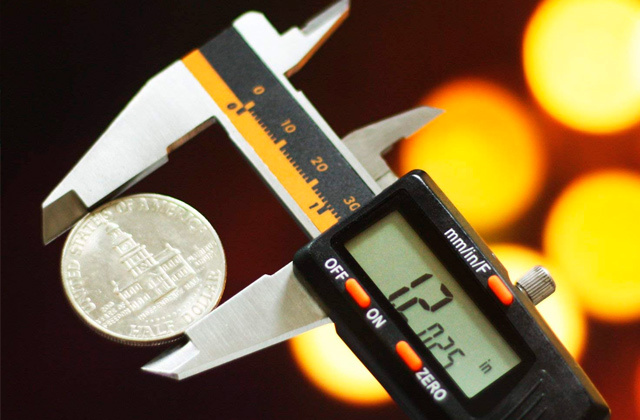 All the products from Silverline are thoroughly tested and are compliant with modern standards of safety and quality. 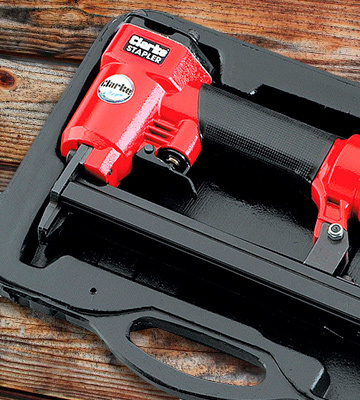 And this model of an air nailer and stapler is not an exception. The staple gun is designed using the latest technologies to satisfy even the most demanding customers. It should be noted that the manufacturer provides a 3-year warranty for this stapler, which is an unbeatable proof of its high quality. Considering all of that, you can be absolutely confident that the item you are purchasing will be durable and reliable. The appliance is fairly easy to use, which is a great advantage if you are going to buy such a thing for the first time ever. 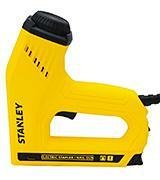 This air nailer and stapler is fantastic for home tasks mainly. Being made of aluminium, the gun is easy to hold, so you will not experience hand fatigue. The tool is perfect if you are going to do some tasks that require a lot of time and accuracy. Besides, it's fitted with a soft-grip handle with rubber covering. Thus, the gun will not slide out from your hands. Also, this air staple gun is equipped with the safety trigger to prevent uncontrolled firing. Thanks to that, you will not damage your working materials and, what is more important, you will not hurt yourself. 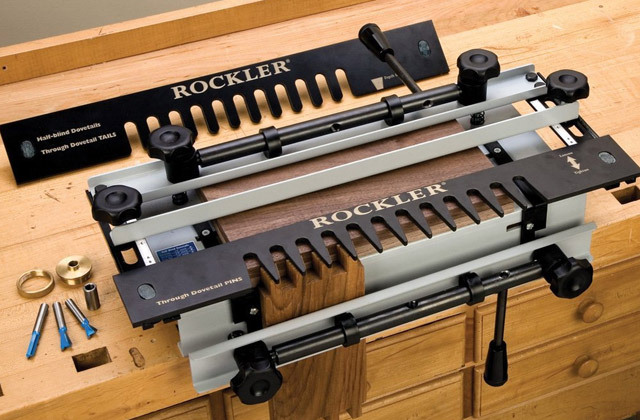 If you are looking for a staple tool for trim work, upholstery, and crafts, then this model will be your best choice. By the way, the gun is also suitable for panelling and cabinet assembling. Taking into account that this item is intended for domestic use, the manufacturer has made it affordable for any family. Be sure, this buy will not be a strain on your wallet. This great tool that is trusted and recognized not only in the UK but also throughout Europe will serve you for a long time. The Silverline company is doing its best to take care of the environment. Since their products are made all around the world, the engineers constantly improve the testing programmes so that the customers can be sure they are buying only environmentally-friendly items. In the recent decades, lots of tools have been created for construction purposes and they make our lives a lot easier. Thanks to all kinds of construction equipment, people can cope with their tasks faster, better, and more accurately. Staple guns are among such must-have tools. It is an extremely helpful assistant for a lot of jobs. This appliance is some kind of an "electric hammer" which performs much more effective and quicker than conventional hammers. 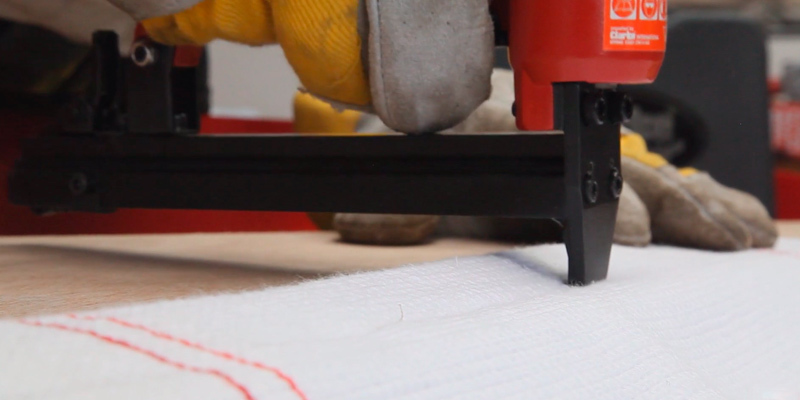 The staple gun can easily tack a film, cloth, panels, a window screen mesh, and a lot more with conventional staples. Undoubtedly, this tool will be a beneficial purchase not only for professional but also for personal use. Just make sure, the model, you are going to buy, meets your requirements and you will feel the difference. We also advise you to consider our review of the best brad nailers for tougher fastening jobs, as well as jig saws to shape wooden pieces to be further stapled or nailed almost effortlessly. If you wish to find an appropriate staple gun for your needs, you should know the specs and features of these tools. For a start, learn the types of staple guns. Manual staple guns. These tools are considered to be the simplest in use. Manual guns are designed for small tasks and are not efficient for tough materials due to their design peculiarities. A manual staple gun is suitable for occasional use. If there’s a lot of work to do, you can get dead tired using the manual staple gun. Electric staple guns. Electric guns are either corded or battery-powered. 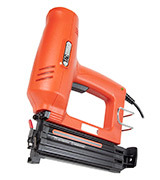 Electric staple guns can be used for upholstering, panelling, fastening sheet materials in any projects. Electric staple guns shoot much faster than manual ones. So, electric models are used successfully for tough projects like large-scale repairs and construction. Pneumatic staple guns. These guns also find application in large jobs that need high performance. Pneumatic guns employ the force of a compressed air to work. Like electric tools, they don’t need much effort for usage and some models are capable of driving both staples and brad. Though, a staple gun can’t fully replace a brad nailer. 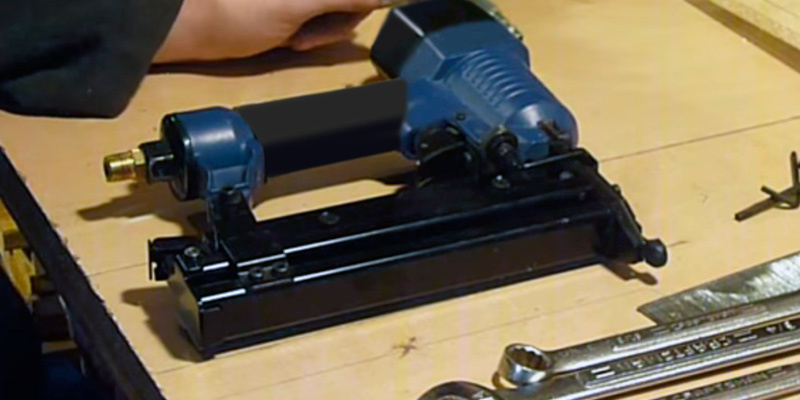 Generally, pneumatic staple guns fit best for large scopes of work and fastening tough pieces. Next, pay attention to the size of staples the gun can drive. Staples come in a wide variety of sizes and the more sizes the gun can handle, the better. After all, various staples are used for completion of various jobs. 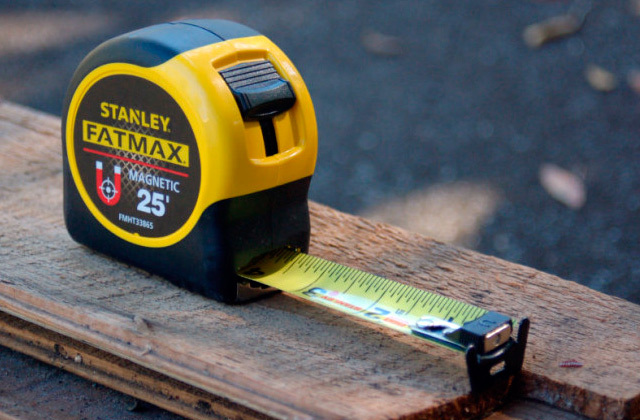 Staples usually vary in height, length, and gauge. Also, staple guns can handle different materials, and these are commonly specified in user's manuals. 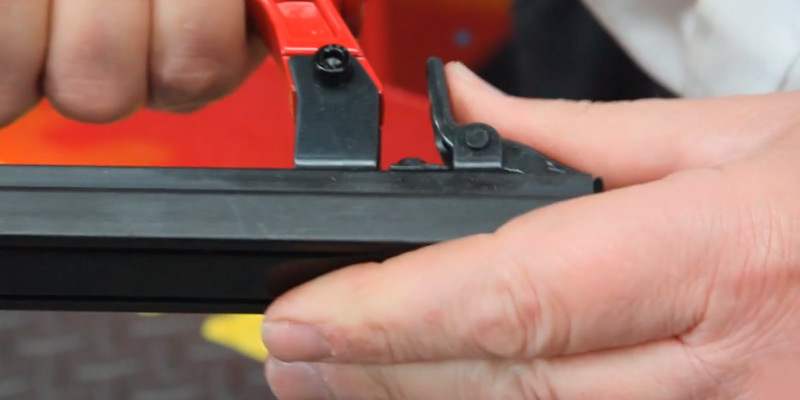 Finally, pay attention to the features that make the staple gun easy and comfortable to use. It’s nice when the staple gun has a capacious magazine comprising a lot of staples. This feature will save you the time for recharging the gun. Staple guns’ magazines often have windows that allow monitoring the number of staples remained. Also, an ergonomic non-skid handgrip will make using the staple gun more comfortable. Q: What is the difference between a furniture stapler and a heavy-duty staple gun? A: In fact, a furniture stapler is a model which drives smaller staples (up to 8 mm). As a rule, it is used, for example, for upholstering furniture or fixing the hardboard (in this case, the staples should be up to 14 mm). Speaking of heavy duty staple guns, we would like to mention that these tools fire not only staples but also nails (up to 50 mm) and they are considered to be more versatile in use. With this appliance, you can do more tasks around the house or at work. Q: What does a furniture staple gun do? A: Generally, a furniture staple gun is intended for fixing materials with surfaces made of wood, chipboard, fiberboard, plywood, plastic, and other building materials based on wood. However, such tools can be used for some other purposes, too. 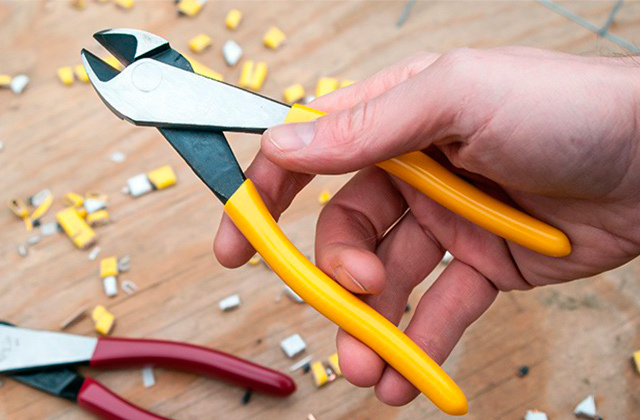 Q: What to do when a staple gun fires two staples at once? A: The first thing you should do is check whether you have loaded the appropriate staples into your model of a staple gun. It is important to know that the staples can be of different width and not all of them can fit the gun you have. If everything is all right and the staple size is correct, then, unfortunately, there can be some problems with the tool itself. In this case, you will have to go to a shop (where you bought the item) or write to the manufacturer (if you ordered the appliance on the Internet), and they will give you refund or replace the defective product. 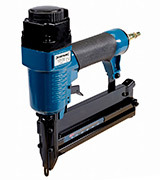 Q: What is an electric nailer? 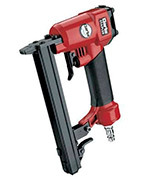 A: There are stapler/nailer guns and simple nailers on the market. The first ones are more multifunctional as they are able to perform more tasks and drive both nails and staples. If we are talking about just a nailer, it is an automatic hammer designed to drive nails without your physical force. The tool works from the network or a battery (they are rechargeable). 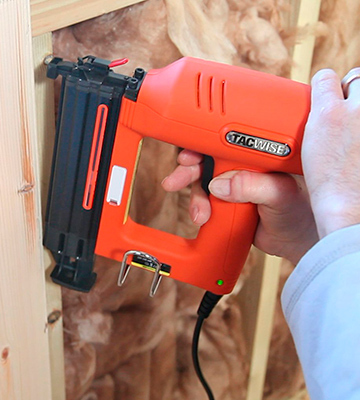 Q: Which staple/nail guns work faster: electric or pneumatic ones? A: Actually, pneumatic staple/nail guns work at higher speeds. However, electric models operate more accurately and precisely. Q: What are the main areas of staple gun application? 1. How to Buy a Staple Gun, wikiHow. 2. Your Guide to Buying a Staple Gun, eBay. September 27, 2016. 3. 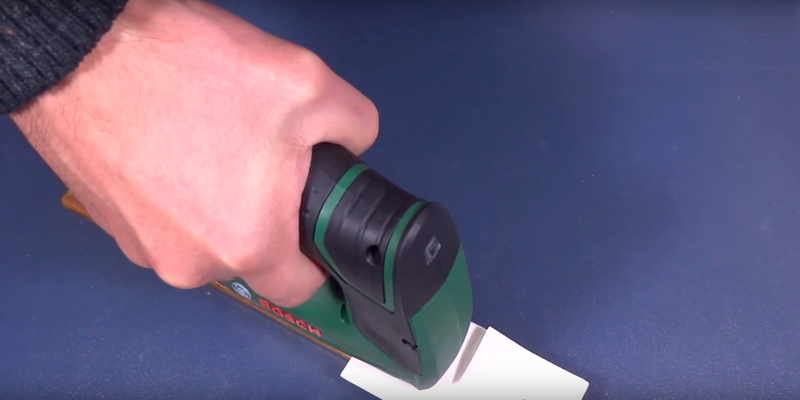 How to Properly Use a Staple Gun, DoItYourself.com. 4. David Weedmark The Steps to Using a Staple Gun, Small Business. 5. Staple (fastener), Wikipedia. August 31, 2016. 6. Andrea Campbell How Does a Staple Gun Work? wikiHow. 7. What Should I Consider When Buying a Staple Gun, wiseGEEK. 8. Staple gun, Wikipedia. October 23, 2016. 9. Woodworking eTool | Production > Handheld Nail/Stapling Guns, OSHA.